Thunder Gridman comes courtesy of Hobby Link Japan. Denkou Choujin Gridman was a 1993 tokusatsu series from Tsuberaya, the same company that makes Ultraman. 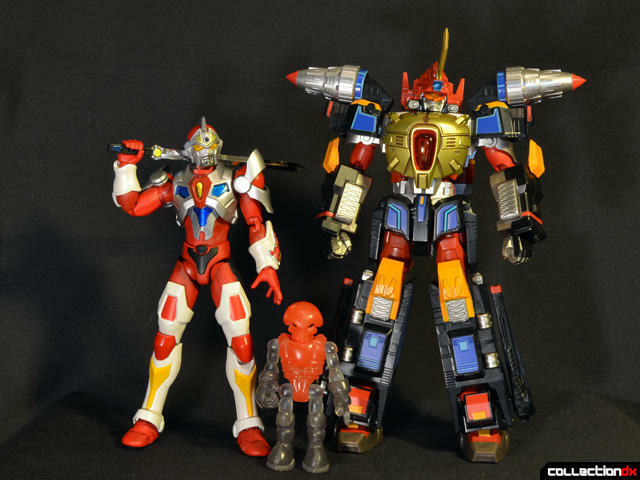 Gridman was brought over to the United States in 1994 during the height of the Power Rangers boom by DiC Entertainment as Superhuman Samurai Syber-Squad. VR Troopers had a more memorable theme song, but I have strong memories of watching Syber-Squad, down to remembering that voice saying 'Deec' when they showed the DiC logo at the end. 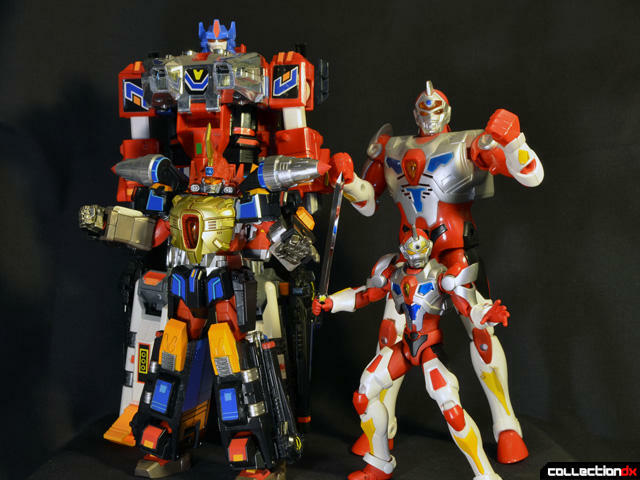 The Gridman/SHSSS toys were amazing, and I remember being so jealous of the kid in my Kindergarten class that had a deluxe Xenon. 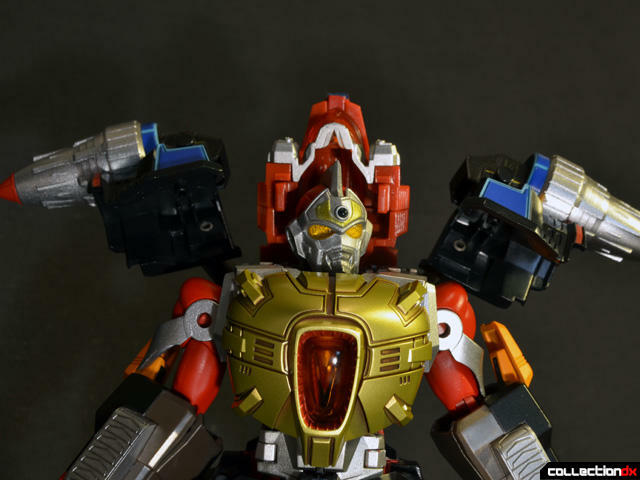 Thunder Gridman is the next Gridman release in Bandai’s Ultra-Act line. For an unboxing and details on the transformation, check out my HD video review above. 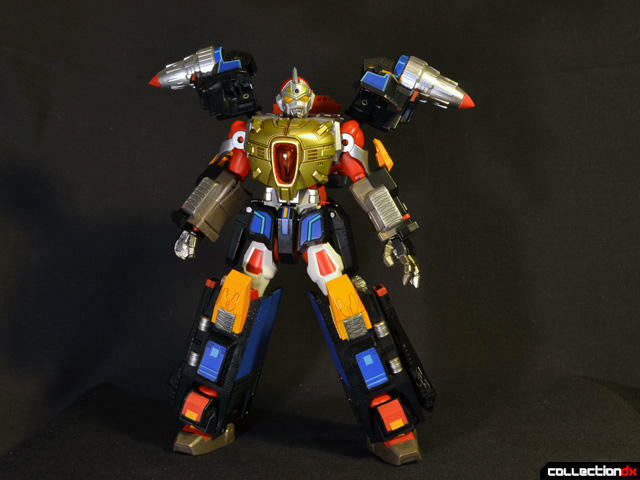 Out of the box and all assembled, Thunder Gridman stands around seven inches tall, a little more counting the horn. Next to vanilla Gridman and CDX scale-standard Wraith Pheyden, TG has an imposing presence. From the back we get a sense that something is amiss with this figure. 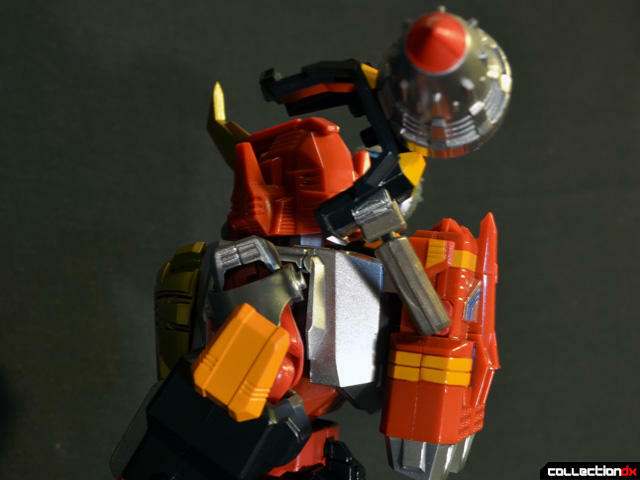 Also visible here are the shoulder mount arms that extend from the backpack on ball joints. We’ll get back to those later. Articulation out of the box is limited to the arms and head. 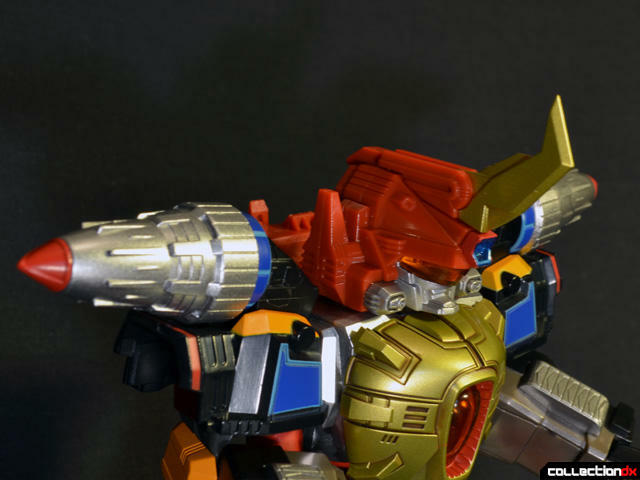 The neck has a ball joint and swivel with a nice range of motion. The arms feature full joints at the shoulders, single elbow joints, and ball jointed wrists that basically act as swivels for the big gloves. The armored fists are also on ball joints. If all you purchased was Thunder Gridman on its own, you would be in for a dissatisfying but very pretty action figure experience. There are worse ways to spend money. The dirty secret of this figure is that is really a full henshin set of armor that comes mounted to a semi-posable Gridman mannequin. 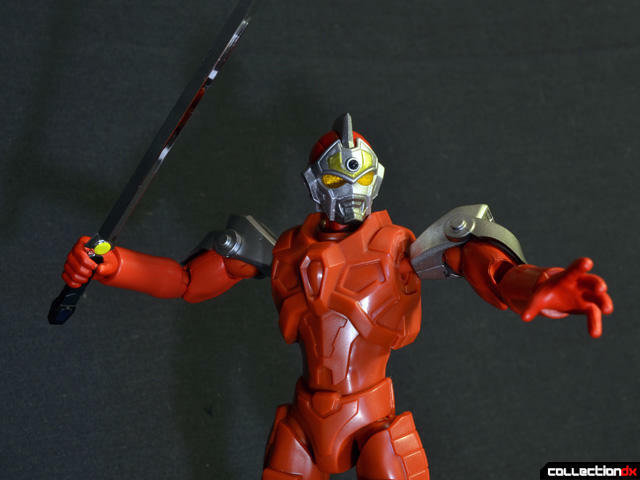 The faux-Gridman features silver shoulder details but nothing else, so the bare red details are visible under the armor in the torso and leg areas. 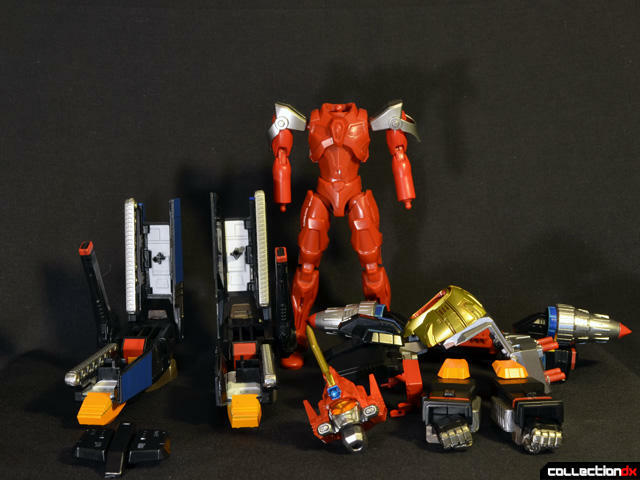 All disassembled, the Thunder Gridman armor features an impressive array of parts. 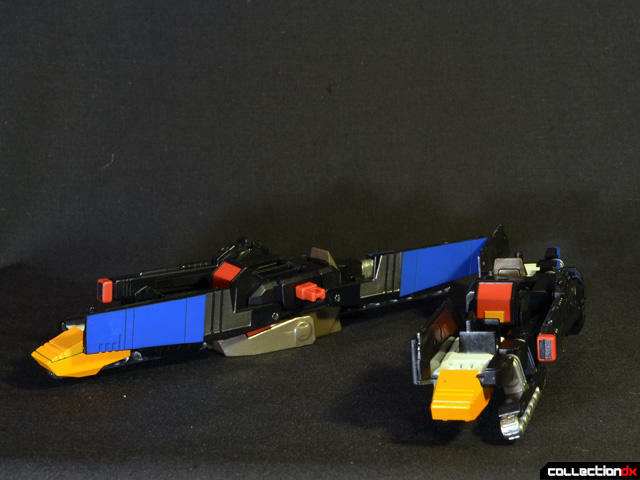 The breakdown is quite similar to the original DX toy. 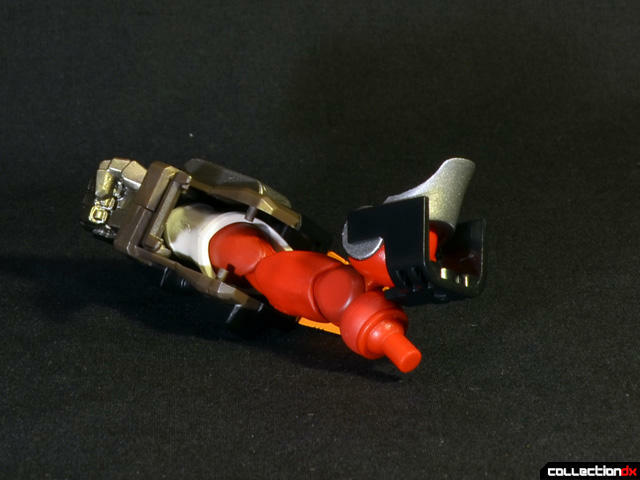 For some reason, Bandai included a little red connector piece that allows the two unfolded leg armor parts to hook together in God Tank mode. The fit on this part is terrible, and the two halves do not stay together at all. Next to the DX God Tank, one wonders why Bandai bothered. 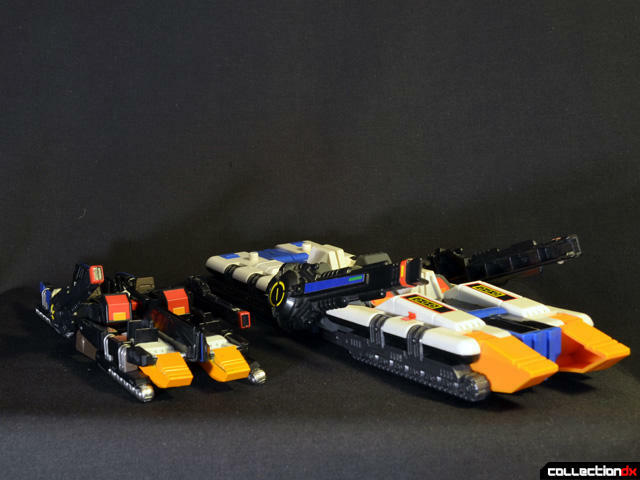 None of the other parts transform, and the God Tank does not even fully transform. The DX toy has less paint, but better overall detail and the parts fit together a hell of a lot better. Moving on, we can prep the Ultra-Act Gridman for combination. 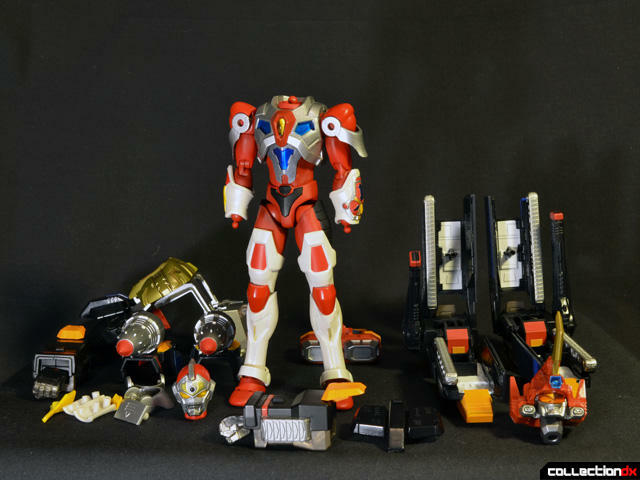 A number of parts have to be stripped from Gridman, including his head, hands, and shoulder guards. The parts fit on with a varying degree of success. 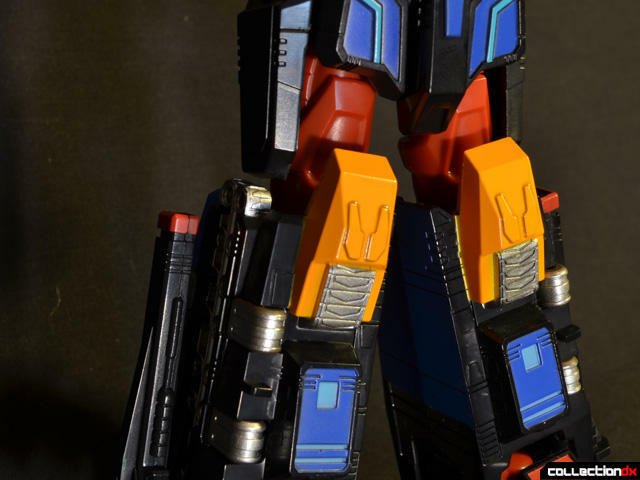 There are two connection points for the leg armor to attach to Gridman’s lower legs, but neither point is very tight. The right leg on mine does not snap closed properly, so it is constantly falling off. Also visible in this shot at the shoulder armor adaptors that allow the big Thunder shoulder pads to attach directly to Gridman’s shoulders, rather than using the cross arms attached to the backpack. Next up is the torso armor, which hooks on from the back, comes down over the chest, and features waist armor that wraps around to the back. This is the most secure assembly of the whole toy. The shoulder guards are a problem. The big shoulder pads do not securely attach to those black adaptor pieces I mentioned above. 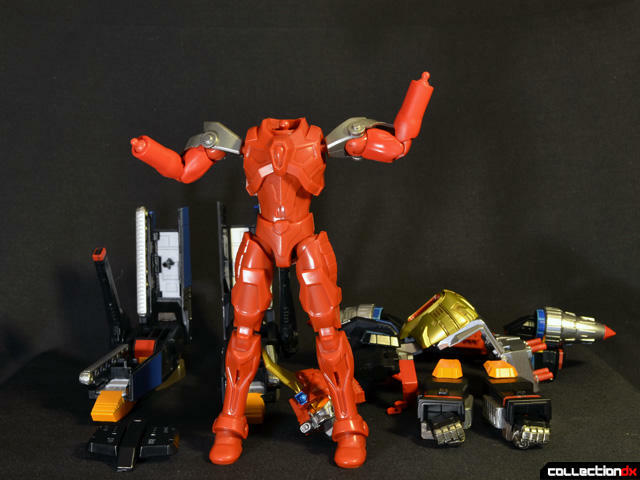 Every time you touch the toy the shoulder pads fall off. 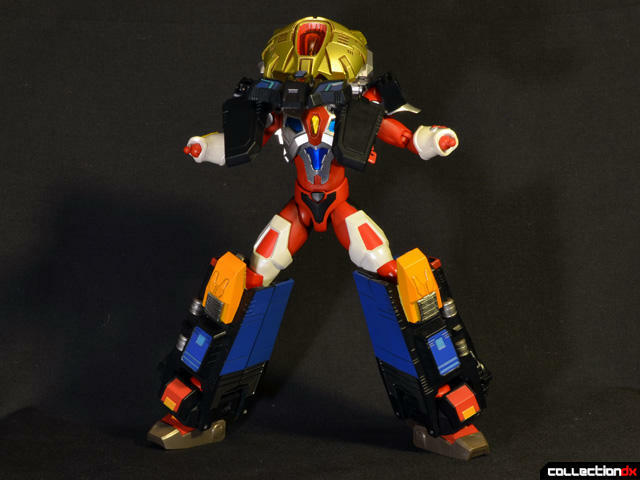 As we’ll see later, the backpack-mounted cross arms are a much better solution for both looks and function. The Thunder gloves are a disaster. There is a little red socket inside the base of the gloves that is supposed to mate up with the existing wrist ball joint on Gridman. There is a door on the gloves that opens to allow better access, but getting the gloves on is still an exercise in frustration. Check the video review for just how painful it is to get the gloves on. Once on, they pop off quite easily when bending the arms. Armored up, Thunder Gridman is a nice looking figure with decent articulation. The hips can splay wide, but are still limited by the design of the skirt armor. 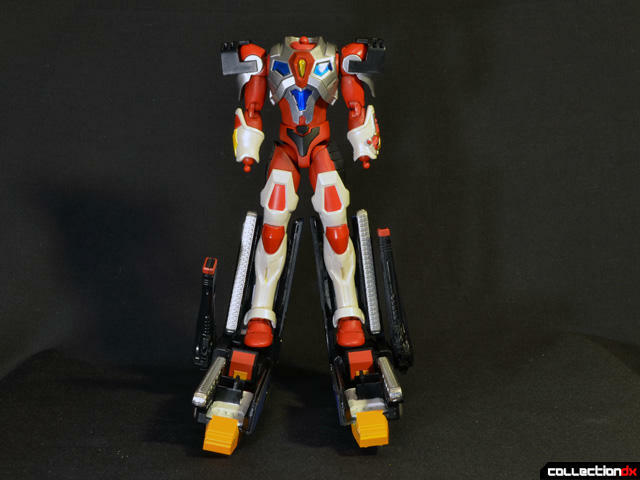 The ankles are a bit loose and the assembled toy is top heavy, so Thunder Gridman tips over easily in dynamic poses. 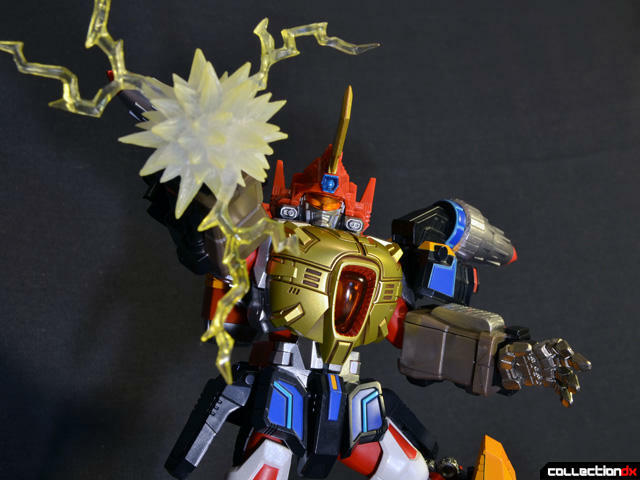 The only accessory is a big spiky Thunder Beam effect part. It’s nice enough looking, but the fit on the fist is quite poor, compounded by the sharpness of the part making it difficult to press on. As an alternative to the posable head, which fits quite loosely on Gridman’s neck, a second head option is included that works without removing G’man’s noggin. I’ve also swapped out the shoulder adaptors for the cross arms in this pic, but you cannot put Gridman’s regular shoulder armor back together for this mode. A big hollow, non-posable Thunder Gridman hat is included that tabs into the top of the torso. The detail is fine, but the helmet head is much too large and looks like a kid in a Halloween costume. 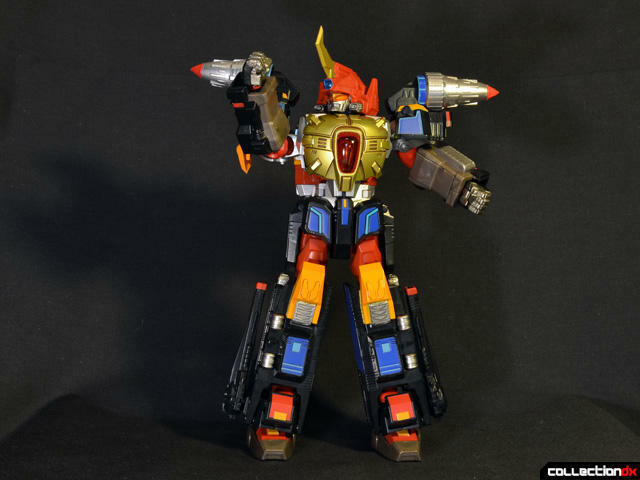 Honestly, the most fun I had with this toy was putting the hands and head on the faux-Gridman. Like this, the mannequin reminds me of a ‘train station’ cheapie vintage toy. Nothing falls off of this guy and he has perfect balance. That’s not to say that, when properly babied and coddled into a pose, Thunder Gridman does not look great, because he does. 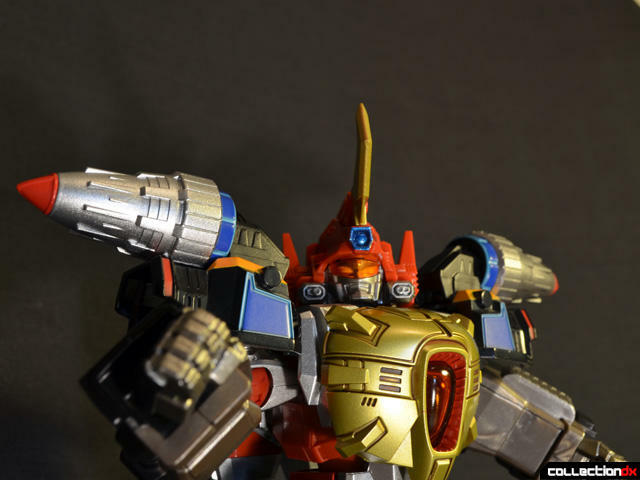 The effect part and the detailed hands are one thing Bandai’s modern effort has over the vintage toy. 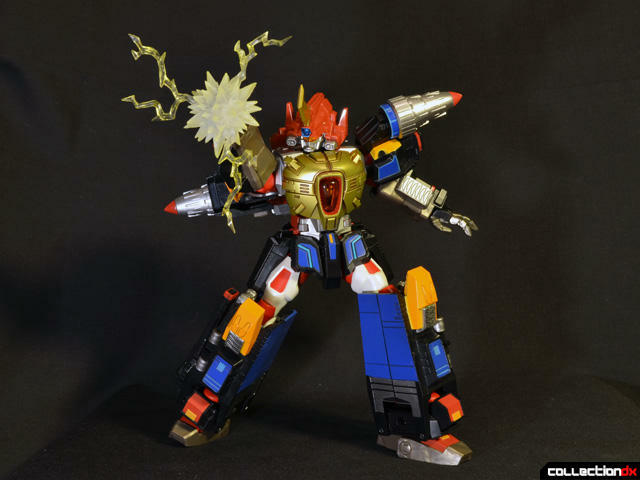 That said, you should in no way buy the Ultra-Act Thunder Gridman. Aside from a little bit of articulation on the legs, hands, and head, there is nothing the UA toy does better than the old DX. Mine is the Playmates Xenon version, but it is still a rock solid brick of heavy plastic and clicky tabs. 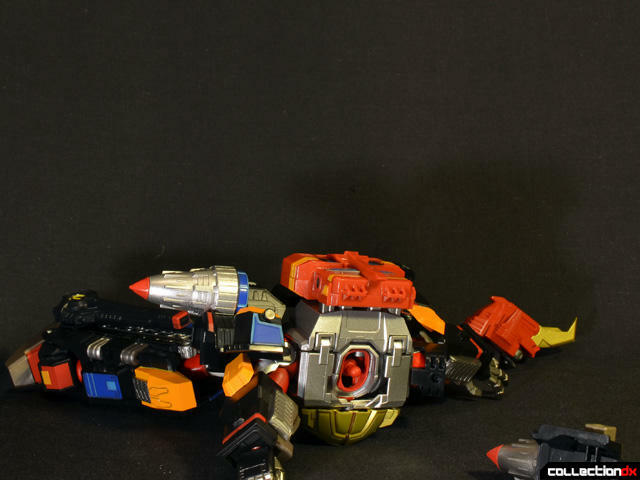 You can hold the DX toy upside down by one leg and shake, and nothing will fall off. The UA toy can barely stand up straight without losing a part. 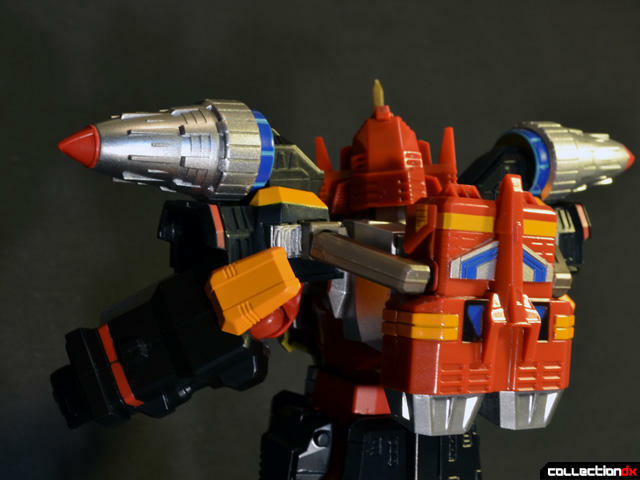 My biggest complaint is that I do not understand why the Ultra-Act Thunder Gridman is the way it is. The UA line is like the SH Figuarts line, designed to be the best action figures of tokusatsu characters, not a mini combining toy that is terrible. 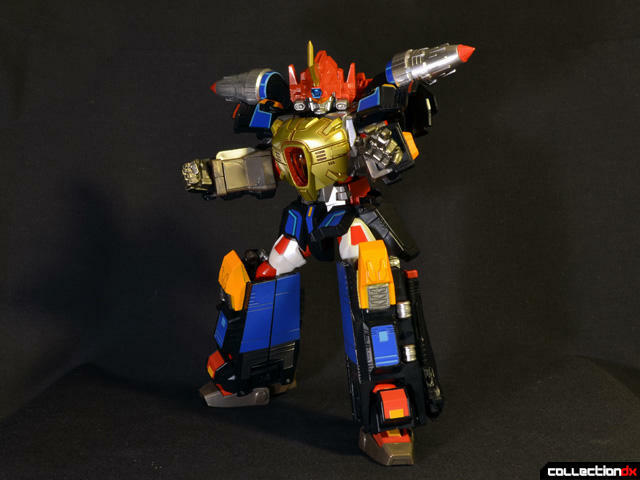 The armored up forms would be so much better as non-transformable Super Robot Chogokins. The designs and Bandai’s modern sculpts are so good, but this is one of the worst toys I have received from Bandai. You can pick up a nice loose Sarvos and Xenon for about the same price as the UA Gridman and Thunder Gridman set. 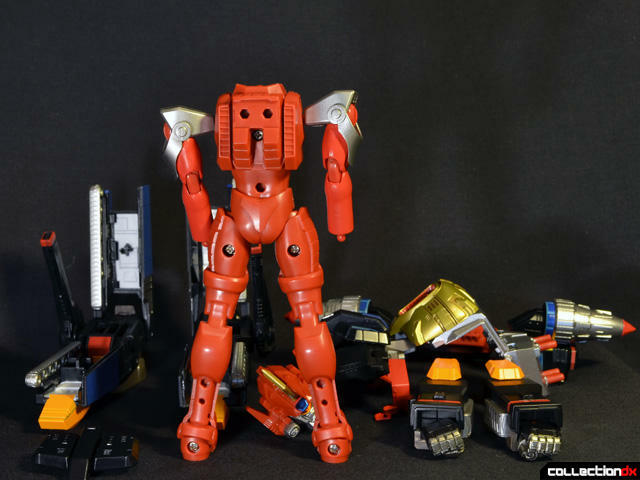 That purchase gives you a much larger and near-indestructible toy that still blows away most modern sentai-style toys in terms of articulation, fun, and design. 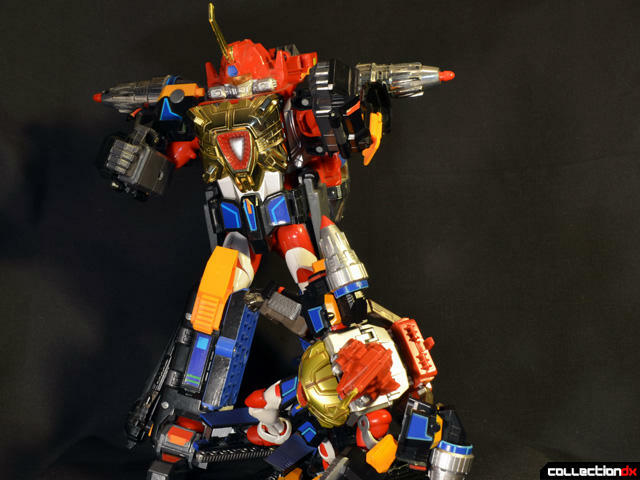 Plus, the DX set also forms the standalone Xenon, who is massive and looks a bit like Optimus Prime. Modern updates of characters we love and remember are supposed to be better, not worse than the originals. 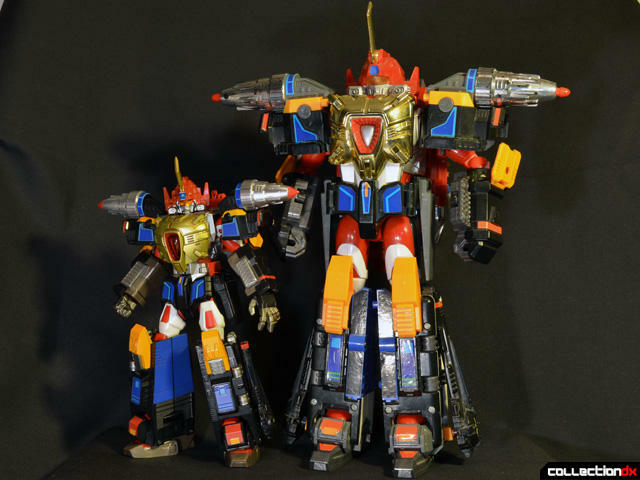 Bandai needs to take their Gridman figures back and try again. You can pick up Ultra-Act Thunder Gridman from Hobby Link Japan, but you shouldn’t. What a POS. 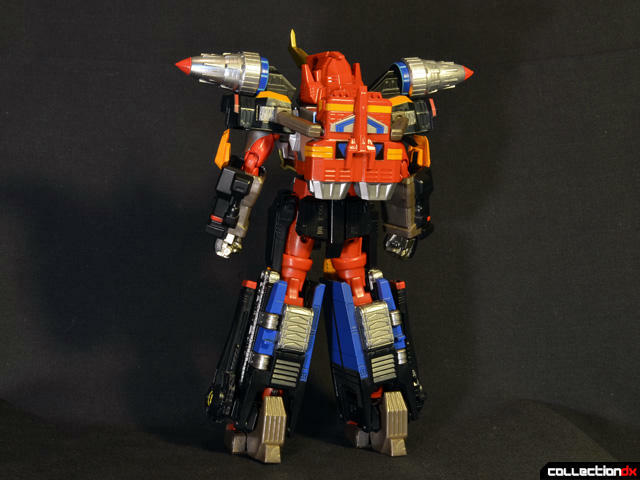 Despite the nostalgia for the design, I'm glad I didn't get this, especially since the original toy was so much better. I knew there was something wrong long before this was released, as soon as I found out it wouldn't properly transform into the component vehicles... This transformation is not very complex, at this size it would probably be no more difficult to engineer than the average Robot Damashii. Enough so that I have 4 of them (Two entirely complete, two mostly complete, and assorted parts). The complete drago I have was much harder to track down. Still the DX Xenons are one of the gems in my collection. Too bad their reinterpretations could not do them justice. 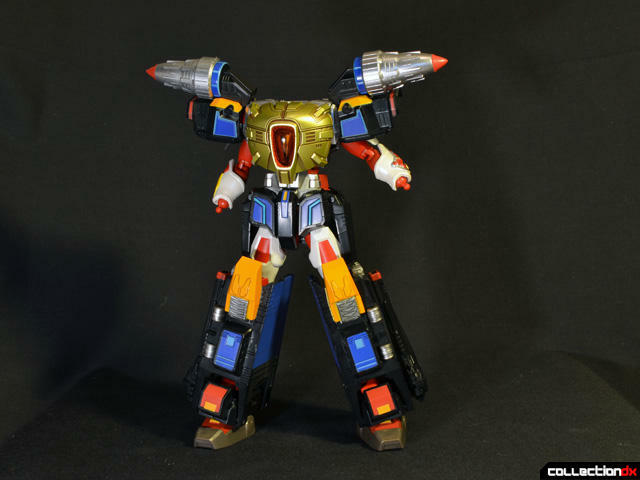 The DX synchro probably would have been better off a Super Robot Chogokin.